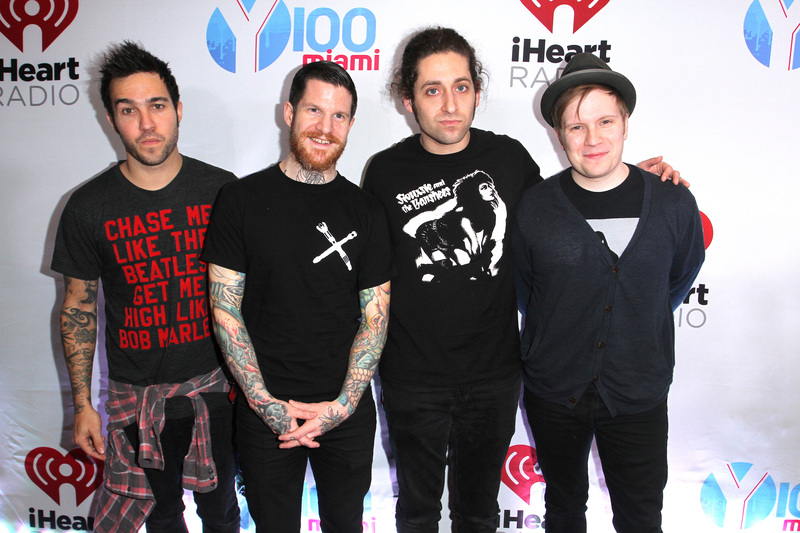 This might be an extremely unpopular opinion, but I completely forgot about Fall Out Boy. In fact, I thought that they weren't even together at the moment and that Patrick Stump had just moved on to co-judging The Sing-Off on NBC. But Fall Out Boy's performance at the People's Choice Awards not only impressed their loyal fans, but reminded me why I was so completely in love with them when they first rocked onto the scene and into millions of hearts several years ago. The band made an extremely smart decision to perform at the People's Choice Awards on Wednesday night with their newest album American Beauty/American Psycho set for release on Jan. 20. And the response to their performance live at the telecast was quite deafening both in the telecast and on social media. The band sang their newest hit song "Centuries" and completely rocked out. They needed no crazy gimmicks to make their performance that much more impressive and intense. Stump's crazy good voice and the band's incredible playing did enough to bring the fire and the passion that fans desired and that other viewers needed to see to become converts. But, then again, the last-minute quick fireworks only helped. My only complaint: The performance was just so damn short! "Centuries" is definitely a great song, and it does what it needs to do to get a crowd going. But I was just hoping for the band to get so much more time onstage! Thankfully, I'm sure we'll be hearing and seeing the band so much more in the coming weeks after their album releases.